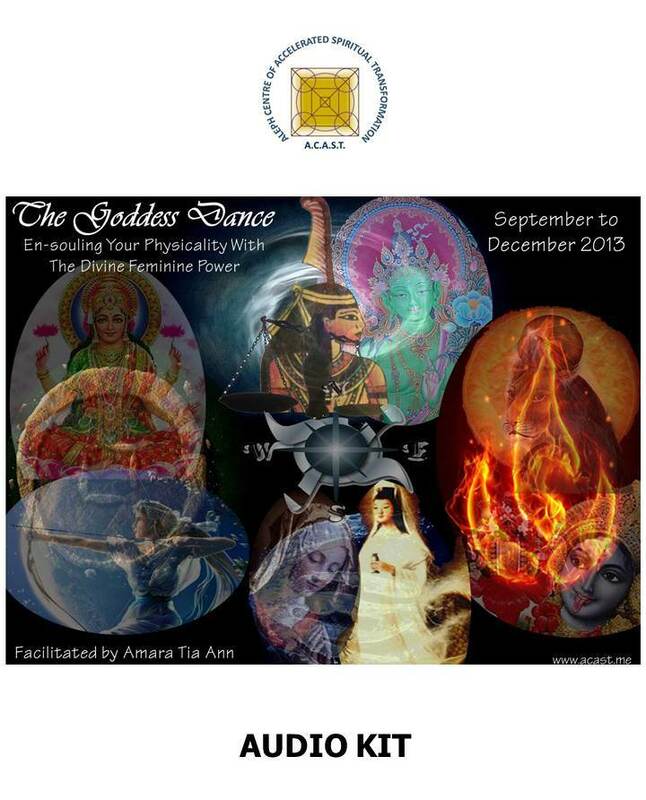 Facilitating The Goddess Dance workshops has been an incredibly rewarding experience for me. Not only did I benefit much from the Goddesses’ teachings on the profundity and intricacies of the human body as a vehicle for exploring, anchoring and be LOVE, I have also since developed a deeper connection with Earth as the guardian of the four elements and directions – the parameters defining, shaping and enhancing our physical experiences. The intent of The Goddess Dance program is to assist us in grounding New Earth’s 5th dimensional consciousness by awakening and engaging our divine feminine presence to embrace and heal our physical body. The deeper our connection with our body, the more in-tuned we are with New Earth’s heartbeat and thus, the more effective we can serve as agents of light for Earth and her dwellers. See workshop program at Outline. The MP3 tracks contained in the audio kit were selected from across the four workshops held in Singapore, Malaysia, Hong Kong and Sydney, from September to December 2013. The topics taught by the Goddesses were diversified and well detailed – ranging from as macroscopic as Rationale of Earth’s Pole Shift (Artemis) to as personal as Metaphysical Meanings of Liver and Gall Bladder Diseases (Lakshmi). In my view, this set of comprehensive and enlightening teachings and energy activations gifted by the 8 Lady Masters would serve adequately as a healing and meditation tool for anyone keen on developing a closer relationship with their body. May this body of knowledge endowed by the Divine Mother support you in achieving greater health and wealth of your body, mind and spirit. Workshop program available at Workshop Outline. For related teachings and energy transmissions available on ACAST blog, go to Free Resource. Payment: by PayPal or inter-bank transfer if you have a bank account in Singapore. To Order: Email info@acast.me with subject title ‘The Goddess Dance Workshop Audio Kit Order’; please indicate the email address for sending the PayPal invoice if it is different from your correspondence email. Without the dedicated support from the following lovely hosts and co-organisers, the workshop series would not have been completed with as much joy, pleasure and laughter. Hong Kong – Jenny Kam of Karma Consultants, an educational holistic well-being centre offering individual sessions and classes on healing, meditation, spiritual knowledge and holistic health. Check out http://karma-consultants.blogspot.sg. Sydney – Katrece Quigley. Currently a sales representative for Kate King Jewellery Australia/New Zealand, Katrece enhances the healing power of the crystal jewellery by channeling in the Arcturian healing vibrations. Contact Katrece at quigley@bigpond.com. Andy and I also thank all workshop participants for your enthusiastic learning and sharing, for your friendship and for allowing us the opportunity to successfully deliver these workshops commissioned by Spirit and to serve you, our beloved light warriors, with much love and humility.